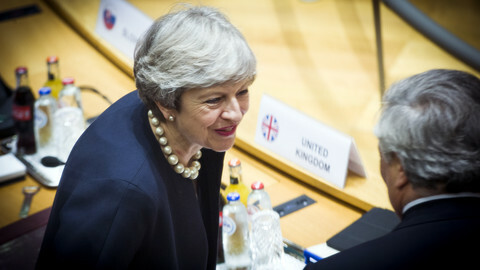 UK prime minister Theresa May called on other EU leaders to "step forward together" to make progress in Brexit negotiations and move on to talks about the UK-EU future relationship. Over dinner at a summit in Brussels on Thursday (19 October), May insisted that this "must be on the basis of joint effort and endeavour". 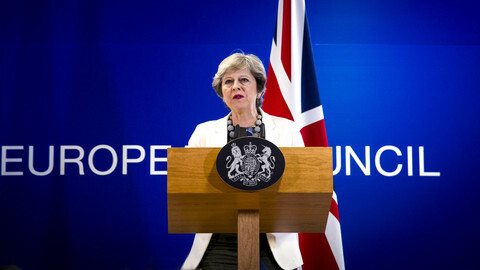 "The clear and urgent imperative must be that the dynamic you create enables us to move forward together," she told fellow leaders, who will on Friday say that Brexit talks have not yet made "sufficient progress". May had arrived in Brussels knowing that she will get little movement from EU leaders. "This Council is about taking stock," she admitted to journalists when entering the summit building. That has been inevitable ever since the EU's lukewarm reaction to her speech in Florence in late September. That came as a disappointment to her advisors, who felt the offer of an initial €20 billion in EU budget contributions during a two year transition period was enough to break the impasse. The offer was also as far as she could go, they say. May however told her colleagues that her speech "has taken us forward." "Both sides were agreed that subsequent rounds [since the Florence speech] have been conducted in a new spirit," she insisted. She added that "there is increasingly a sense that we must work together to get to an outcome we can stand behind and defend to our people." 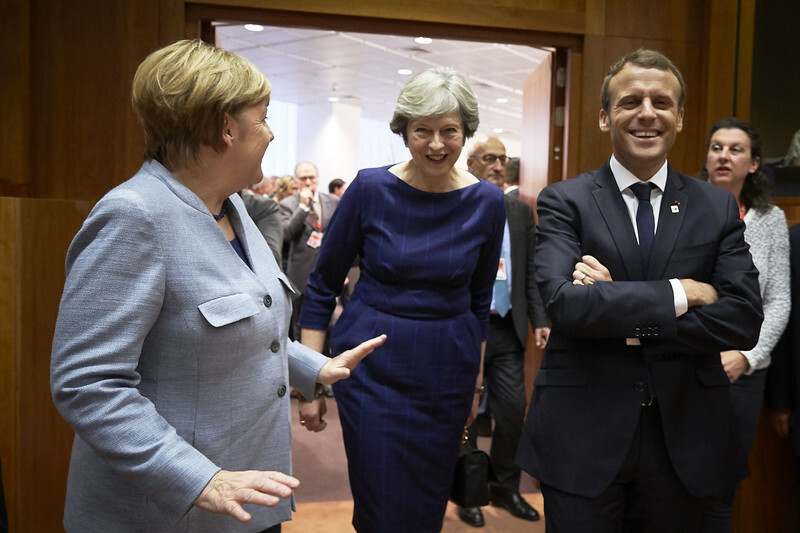 May also insisted on the future relationship she wants to achieve with the EU, even if the other 27 leaders, following the assessement of the bloc's chief negotiator Michel Barnier, do not want to talk about it yet. She said that the future relationship "should be based on a framework that allows for a close economic partnership, but sets rights and obligations in a new and different balance, supporting prosperity for all our peoples." She made "very clear" that the UK is "unconditionally committed to maintaining Europe's security" on the basis of a "bold new strategic agreement." 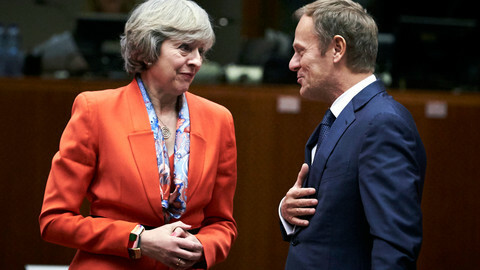 She also told other EU leaders that she wanted the future relationship to be based on "a framework that allows for a close economic partnership, but sets rights and obligations in a new and different balance." 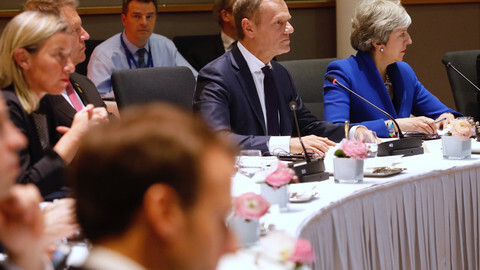 Speaking to journalists after May's dinner intervention, German chancellor Angela Merkel welcomed a "good spirit" but noted that she did not hear more details on the financial settlement", the main blocking point in the Brexit talks. May's room for manoeuvre in Brussels has been tightly constrained by the faction of hard Brexit supporters in her Conservative party. They oppose handing over billions of euros in a divorce settlement, and are entirely sanguine at the prospect of trading with the EU on World Trade Organisation (WTO) terms. Nor do they believe that the EU will walk away from the talks. "They have more to lose than us," one senior party official told this website. "Punishing Britain is tantamount to the EU punishing its best customer," said David Campbell-Bannerman, a Conservative MEP and international trade spokesman, at an Open Europe think-tank earlier this week. Campbell-Bannerman is pushing an EU-Canada style trade pact as the best future model for the UK. "Leaving without a deal would not be the Armageddon that people project," international trade secretary Liam Fox said on Wednesday. Fox, whose department's main focus is on striking free trade pacts with Canada – the country which the government has prioritised for its first post-Brexit trade deal and with whom talks are most advanced – and the United States, would be comfortable with a 'no deal' Brexit trading with the EU on WTO terms. A letter released on Thursday by the Leave Means Leave campaign group, largely composed of hard Brexit supporting Conservative MPs, accused the Commission of "deliberately deferring" future trade talks. "If, early next year, the EU then decides to come back and discuss free trade, this will be a bonus – but it is not and should not be treated as essential," the letter said. That leaves May with very tight parameters in which to negotiate. The Exiting the EU Department (Dexeu), led by their minister David Davis, have been lobbying national capitals since the start of the year. 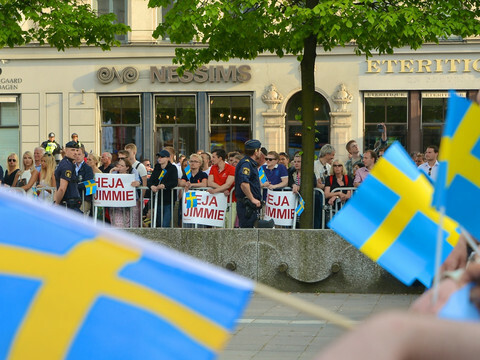 Officials say there is plenty of good will and that the closest rapport is with their counterparts in Spain and Germany, both centre-right governments. However, each time May returns from Brussels empty-handed, without some sort of commitment - even vague - to open exploratory trade talks, that increases the momentum behind the hard Brexiters. If the pressure on May when she goes to Brussels comes from hard Brexiters, her immediate problems with the domestic part of Brexit come from Remain-supporting Tories. 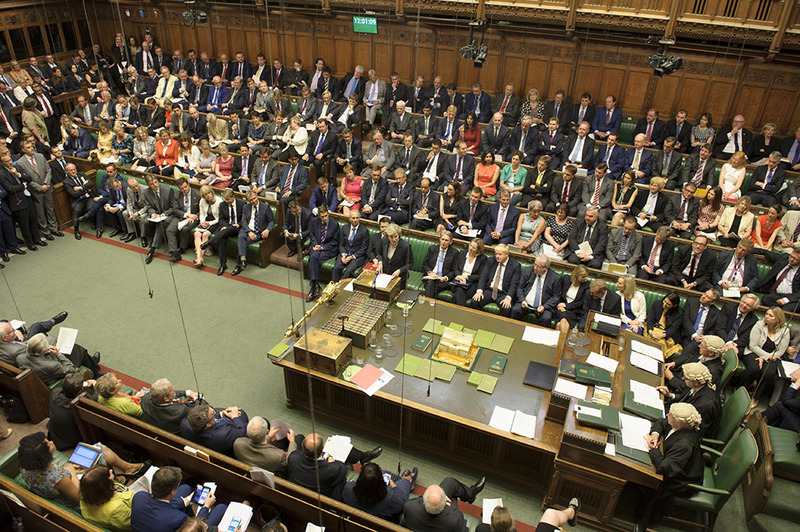 More than 300 amendments have been tabled to the EU Withdrawal Bill, which transposes all EU law, apart from the Charter of Fundamental Rights, into a single domestic bill. Government whips concede that they would likely lose a handful of them. That has forced ministers to temporarily postpone the committee stage of the bill. A group of senior Tory MPs, led by former attorney-general Dominic Grieve, argue that they have the votes to prevent May from forcing a no deal Brexit through Parliament. A reshuffle is widely rumoured to take place before Christmas, with May under pressure to sack or move chancellor of the exchequer Phillip Hammond and foreign secretary Boris Johnson, the leaders of the soft and hard Brexit factions, respectively. "The Tories are internally divided. 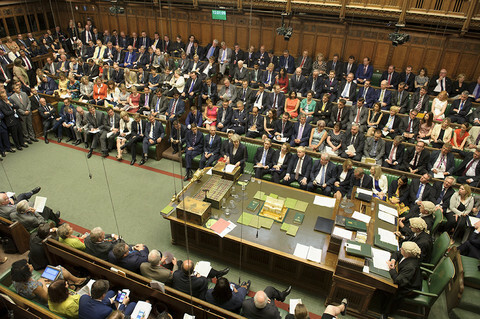 Some actively want to leave without a deal, some feel that threatening no deal is a good negotiating tactic … others, like Hammond, want a softer, more gradual Brexit, though none of these options is good for Britain," Richard Corbett, the acting leader of the opposition Labour party MEPs, told EUobserver. "May is clearly not willing to face down any of these factions," added Corbett. "If we stop Brexit we destroy the party, if we go ahead with it we destroy the country," a cabinet minister, who asked not to be named, has said. That attitude, and the fact that many Remain supporters have rallied behind it since the referendum, may prompt incredulity in Brussels and national capitals. But it is held by a sizeable number of Tory MPs. It also puts May in the position of having almost nothing to offer the EU-27 except the threat of walking away. The EU is "not confident, but hopeful" that the UK will achieve sufficient progress for 'stage 2' by December, as Britain's Brexit negotiator blames the slow pace of negotiations on the EU ahead of a crucial summit meeting. 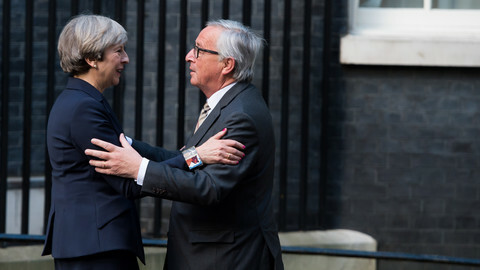 Hugs and kisses but no sign of "acceleration" in Brexit talks after British leader met the EU Commission chief in Brussels. EU expected to make "turning point" gesture toward May, who will plead in Brussels on Monday night for movement to trade talks. MEPs and Commission chief Jean-Claude Juncker insist that "speeches are not enough" and say that the UK prime minister's political weakness at home prevents progress in negotiations. The EU has launched internal preparations for phase two of Brexit talks, but a December breakthrough only possible if UK gives more detail on divorce issues first.